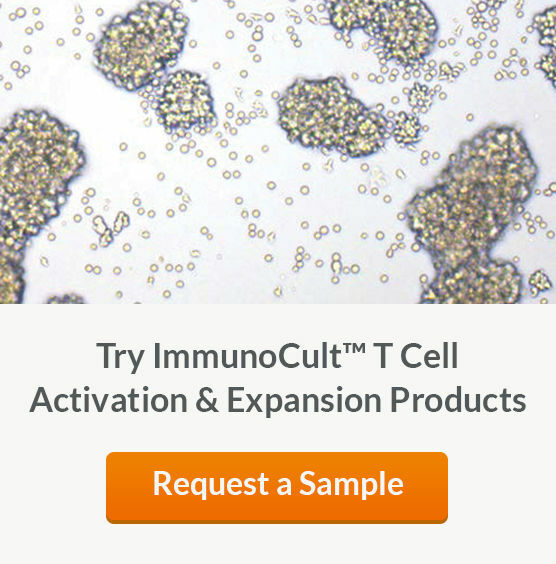 Advance your research with ImmunoCult™ products designed to ensure optimal activation, expansion and differentiation of the immune cells of your interest. These specialized media, activators and supplements allow you to culture immune cells under defined stimulatory conditions for consistent and reliable results. Robust T cell activation and expansion without the use of magnetic beads, feeder cells or antigens. Consistent T cell expansion in serum- and xeno-free or animal component-free medium. Differentiation of Th1, Th2 or Treg cells. Generation of mature DCs and macrophages from isolated monocytes. Obtaining high yields of mature DCs or macrophages with the desired phenotype and function. DEFINED FORMULATION. Serum-free and animal-component-free medium. OPTIMIZED. 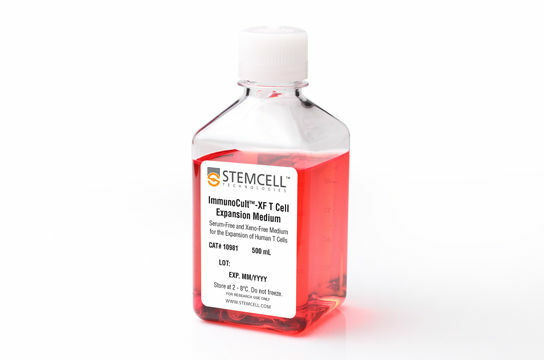 Ready-to-use and optimized formulation for activation, expansion or differentiation of immune cells. RELIABLE. Results in a high yield of cells with the desired phenotype and function without the need to supplement with serum. FLEXIBLE. Media, activators and supplements can be used on their own or combined. Soluble antibody complexes that recognize and cross-link CD3 and co-stimulatory molecules on the surface of the T cell in the absence of magnetic beads or feeder cells. 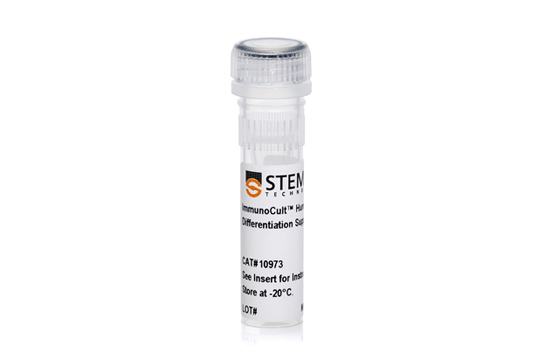 It can be used in combination with ImmunoCult™-XF T Cell Expansion Medium or any other media for culturing human T cells. Serum-free and xeno-free medium optimized for the in vitro culture and expansion of human T cells isolated from peripheral blood. It can be used in combination with ImmunoCult™ T Cell Activators for bead-free activation of T cells. Differentiation supplements containing human cytokines and blocking antibodies formulated to promote the robust activation, expansion, and differentiation of peripheral blood-derived, naïve, CD4+ human T cells into Th1, Th2 or Treg cells. 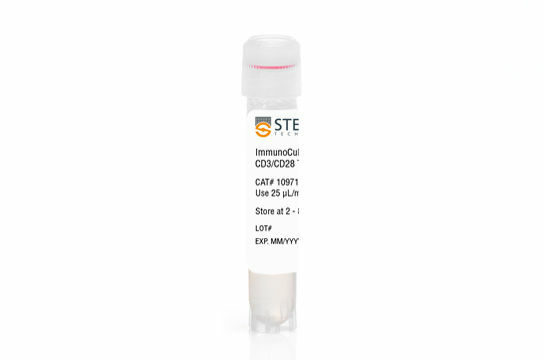 Differentiation supplements containing cytokines and blocking antibodies formulated to promote the differentiation of mouse naïve CD4+ T cells into Th1, Th2 or Treg cells. GE Healthcare has partnered with STEMCELL Technologies Inc. to provide T-Cell reagents for commercial-scale cell therapy production. Under the agreement, GE Healthcare will commercialize cGMP-grade versions of STEMCELL Technologies’ T-Cell reagents for the isolation, activation, and culture of T-cells in clinical applications. 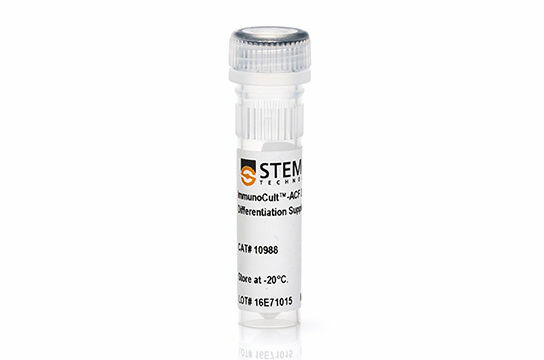 Serum-free and animal-component free (ACF) medium optimized for the in vitro culture and differentiation of human monocytes into dendritic cells. 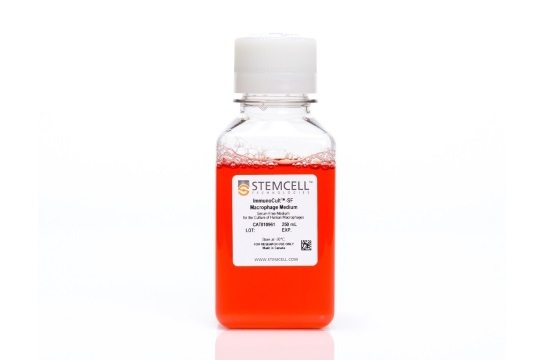 It can be used in combination with ImmunoCult™ DC Differentiation and Maturation Supplements. 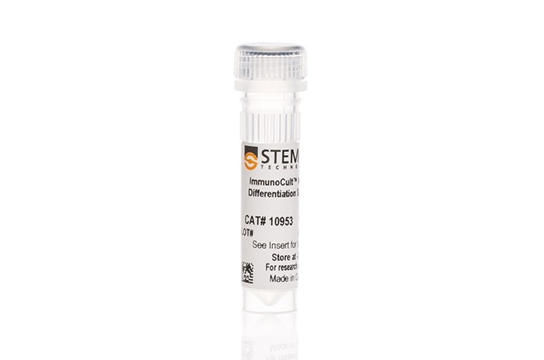 Contains a combination of animal component-free (ACF) recombinant human cytokines formulated to support the differentiation of immature DCs from human monocytes. 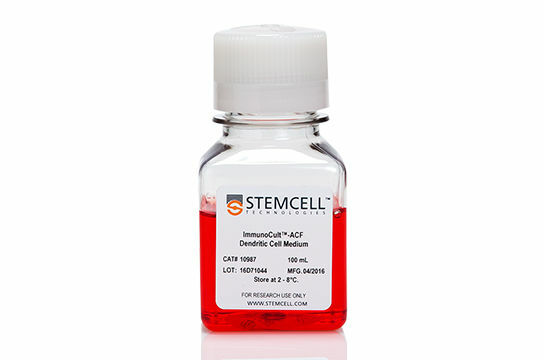 Formulated to support the maturation of immature dendritic cells. 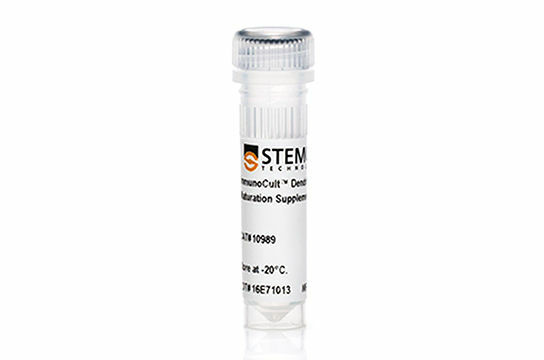 Serum-free medium optimized for the in vitro culture and differentiation of human monocytes into macrophages. This medium can be combined with the appropriate cytokines and stimuli to differentiate M1 and M2a macrophages.